I am in no way a history buff, but this period in Russian history has always interested me. Ever since I saw an A&E special years ago on the Last Tsar I was hooked. The story of the Royal Family, their rise and fall is incredibly intriguing; it’s full of mystery, strange twists, fantastic characters and unanswered questions. 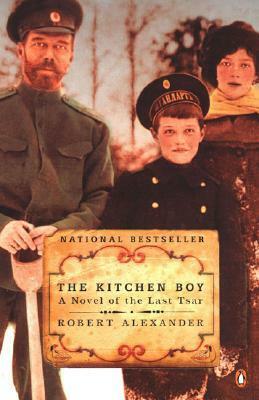 The Kitchen Boy had the potential to take an already amazing story and make it a spectacular read. But author Robert Alexander (who has written many non-fiction books on the same subject) did not take it far enough or make it interesting enough for my tastes. The novel reads like a work of non-fiction, a recollection of historic facts with some unspectacular dialogue thrown in. There’s an interesting twist at the end (enough to categorize this as a work of fiction) but it’s not enough to redeem the 200-pages that come before it. The book does well to showcase Alexander’s extremely deep well of knowledge on the last days of the Romanovs, but he could have paid better tribute by simply sticking with the history texts. This entry was posted in Book Reviews and tagged Book Reviews, Fiction. Bookmark the permalink.